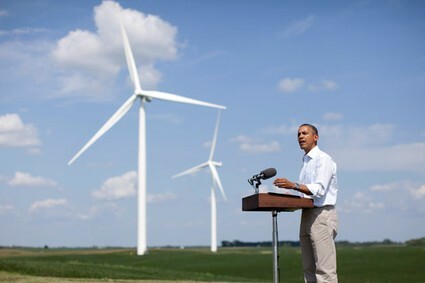 Obama speaking in Iowa surrounded by wind turbines about extending the wind tax break. As the election results started to come in on Tuesday night, the world held its breath and questioned whether it would avoid the disaster of a Romney presidency? The results were unbelievably close, in some key swing states almost neck and neck, all in stark contrast to the outside world who largely favour and see Obama as someone moving in the right direction on most issues, including equality, human rights and, last but not least, climate change. Environmentalists have grown increasingly frustrated with Obama’s perceived lack of action on climate change, the increased level of fossil fuel exploration in the US and his silence on broader environmental issues. But when the choice came to one between Romney and Obama, there was absolutely no doubt who would be a better President of the USA. Obama ultimately understands the science of climate change and wants to see an increased level of action in addressing it. His acceptance speech spelt this out in words set to give environmentalists renewed hope: “We want our children to live in an America that isn’t burdened by debt, that isn’t weakened by inequality, that isn’t threatened by the destructive power of a warming planet” ; a statement that was met by a large cheer from his excited crowd of supporters. So what action is it crucial that Obama takes now? 1) A wind power tax break, which expires at the end of this year and is currently threatening the future of the wind industry in the US, needs urgent renewal to safeguard the industry. Romney made it clear he would have allowed it to expire, and the House of Representatives, still held by the Republicans, will surely put a fight up against a renewal. Obama must fight this alongside the Senate, which the Democrats fortunately held. 2) The ongoing fight against the Keystone XL pipeline, which Trans Canada keeps pushing on with despite Obama rejecting it last year, must be outright rejected by him again. It’s an issue that has united landowners and environmentalists in protests in oil rich and conservative Texas, where the company has already started construction. 3) In the wake of the rapid melting of the Arctic, Obama must acknowledge the fragility of this region and put a stop to Shell’s plans to drill in the Alaskan Arctic in addition to proposing a bill banning any future oil and gas exploration there. 4) Obama did try to set up a carbon ‘cap and trade’ system that was blocked by Republicans. He must revisit this and find a way to instigate a carbon tax in which carbon is priced reasonably enough for the system to actually work. This system could potentially link up with the existing Australian carbon tax model, in addition to the EU if they too develop one, in order to enable a globally linked up scheme. He must also immediately instruct US airlines to comply with EU carbon laws when flying in European airspace; they are currently defying these. 5) Obama’s re-election might come a little too late to influence the US delegation to Doha, Qatar, on the 26th of November, where the next in the series of the faltering UN Climate Change Conferences COP18 is being held. 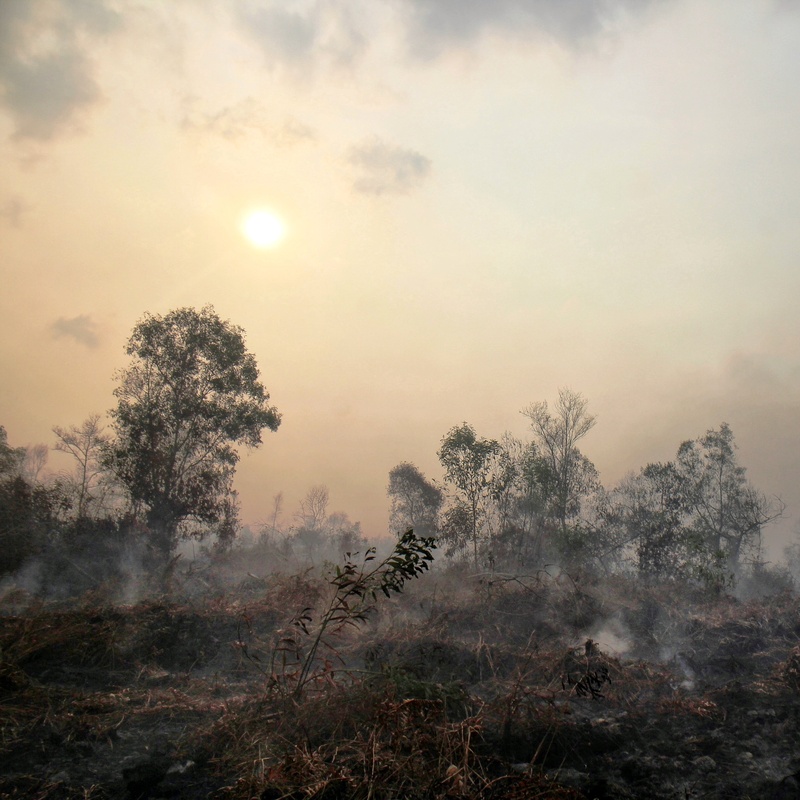 But if the US were to galvanise around this upcoming opportunity, and start to send a strong signal that it was serious about taking strong action to combat climate change, the rest of the world would invariably start to follow. Meanwhile 350.org and their founder Bill McKibben, yesterday began their Do the Maths Tour which will be based on McKibben’s recent Rolling Stone Magazine article centering on how much carbon we can afford to burn to stay below a two degree temperature rise, in addition to how much is being held in reserve by fossil fuel companies and traded on the stock markets. Mr Pa Ousman Jarju, Chair of the Least Developed Countries Group, has perfectly summed up what the world wants in an Open Letter published on the 8th November, reminding Obama not to forget the climate commitments he made at the COP15 in Copenhagen in 2009, and reiterating what we have all seen in recent weeks with Hurricane Sandy, that the US is not at all immune to the adverse effects of climate change which developing countries have experienced for years. This was cross posted with the Huffington Post. ← Live blog: green issues of the US election on election day!